Kombucha is a fermented food so there are health benefits reaped from consuming it but kombucha has a strong vinegary taste that can be quite unpleasant for some people. The key to overcoming the strong flavor of kombucha is to work with it and not attempt to mask it. This means leaving delicate flavorings like grapefruit, lemon grass and mint to homemade soda recipes and focusing on stronger flavors like ginger and blueberries. 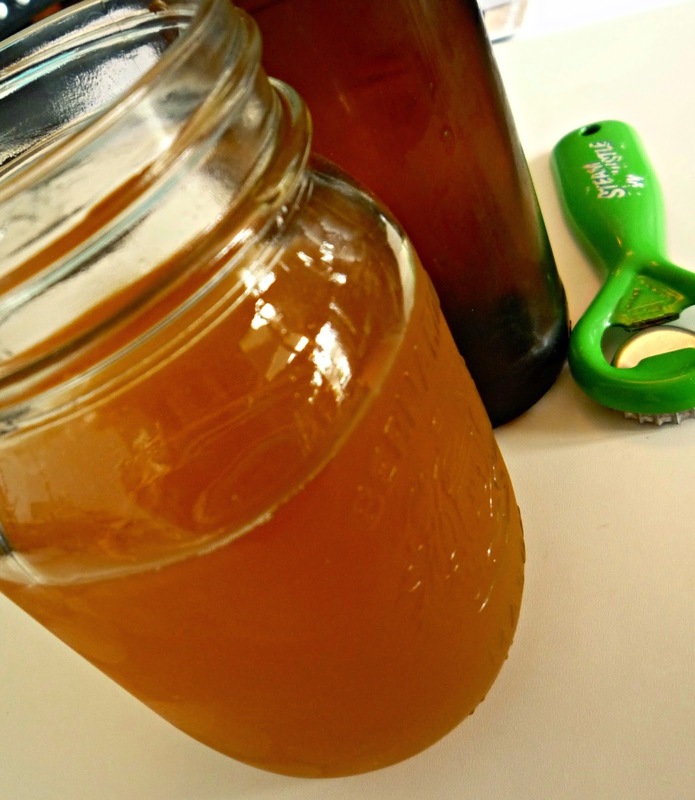 Flavoring home brewed kombucha is as simple as combining brewed kombucha with flavor ingredients and letting it sit for a few days. There are few other, slightly more interesting and complex ways to flavour kombucha that works with the vinegary taste of plain kombucha rather than fighting it. Shrubs, or drinking vinegars, are flavoured vinegars used as ingredients in mixed drinks and cocktails. Shrubs are easily prepared at home as they merely are a combination of fruit, apple cider vinegar, and sugar. This mixture is shaken daily then stained after a week or so. As shrubs are frequently made with apple cider vinegar (a common descriptor of kombucha) they make an excellent addition to kombucha. I simply pour a little bit of shrub over ice, then top off with unflavoured kombucha. If you brew your own kombucha you'll have two (or ten) extra SCOBYs floating around your kitchen. The next concept for working with the strong flavours of kombucha is coffee kombucha. 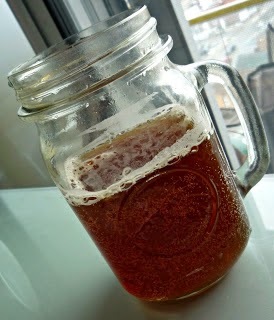 Coffee kombucha is insanely easy to make (drop an extra SCOBY in cooled, sweetened coffee and wait) but it's flavour is very difficult to explain. It smells strongly of coffee but has a lessened coffee flavour. Its flavour is reminiscent of sweetened regular coffee while simultaneously being tart and having a slightly fermented flavour. Coffee kombucha definitely works with the flavour of kombucha to create an interesting drink but one that may not suite everyone's tastes. ombucha or do you prefer to mask it with complimentary strong flavours?